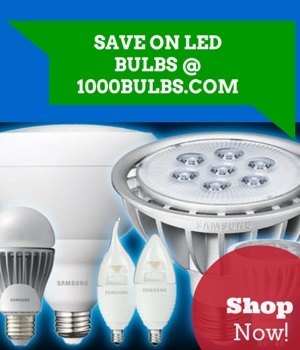 When you’re shopping for light bulbs, what are some of things you look for? The number of watts the bulb consumes? The initial lumen output? Most certainly the life hours, right? Well it’s time to add another one to the list: CRI. Never heard of it? Don’t fret; we’ll break it down for you! For starters, CRI stands for color rendering index, and it measures the effect a bulb has on the perceived color of objects. Simply put, CRI measures how well a bulb replicates the sun, which has a perfect CRI of 100. Underneath a CRI of 100, colors look exactly like they should: bold, vibrant, striking. The great thing about CRI is that it’s easy to understand: the higher the CRI, the better colors will look. The lower the CRI, the worse colors will look. A bulb with a CRI of 80 or above is good, and a bulb with a CRI of 90 and above is very good. A CRI below 80 isn’t that all that great, and will make colors look yellow, washed out, and can even change the hue of objects. For example, the lights you see in highway fixtures have a very low CRI, which is a very yellow light which leads to a bad CRI. Subsequently making colors tougher to differentiate. When it comes to residential lighting, you don’t really need bulbs with a very high CRI, especially in places like the living room or the kitchen (bathrooms, vanities, and closets are different since bulbs with a CRI are highly recommended in these areas) since these places mainly just utilize task lighting. For example, if you use BR40 lamps in your recessed lighting fixtures in your living room or kitchen, these bulbs typically have a CRI of around 80, with some bulbs peaking at 85. However, if you’re displaying family portraits, art, or sports memorabilia, then bulbs with a high CRI, such as these Soraa LED MR16, would make these look even better; the colors would look more stunning and bold. The high CRI of these LEDs create brighter brights and whiter whites, while colors become more vibrant. Places where objects are on display, like art galleries, museums, or jewelry stores, will use bulbs with a very high CRI. So, when is CRI not really an important factor? While that’s purely up to you, you can skate by with low CRI bulbs in places like garages or outdoor lighting. Since there’s not a lot of aesthetic appeal in these areas, whether or not your cherry red Craftsman toolbox looks like Ferrari red doesn’t matter all that much. Where do you use your bulbs with a high CRI? Let us know in the comments below, or drop us a line on Facebook, Twitter, Pinterest, Google Plus, or LinkedIn!